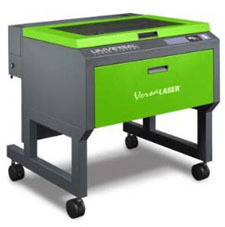 Lasers are available to currently registered College of Design students for studio and class relevant projects. Click the button below to schedule your cut time. New to the lasers; check out the template files, and video links below. Contact Shop Tech tcoates@uoregon.edu if you are having trouble scheduling. UNIVERSAL VersaLASER VLS 6.60 ‐ 32”x18” work table. Avoid “SketchUp” there are unresolved issues at this time, including multiple hidden lines. Artboards must be landscape oriented if larger than 18″ x 18″. Multiple artboards in one file are O.K. and more efficient. Think Black Red Green Blue for etch and cut order. If there are many small pieces that you intend to keep, create tabs (bridges) to hold them in place. Lift out cut material as one piece and X-ACTO knife objects as needed. Laser will not recognize dashed line, or pattern fills, must use line segments. If using AutoCAD (current shop version 2017) save backwards if using newer version. Command:OVERKILL may eliminate overlapping or duplicate lines. Scale can be set in plot dialogue. Registered users can sign up online for a one hour session at http://aaalaser.uoregon.edu. Your user name may only occupy one time block. You may schedule additional time immediately after your started appointment. 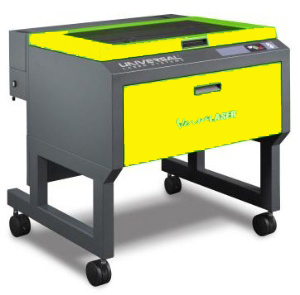 Lasers use should be limited to class or studio assigned projects. Do not attempt to set up a small business in the laser shop. Come into the shop before your scheduled cut time. You do not want to waste valuable laser time preparing, or repairing your files. The laser tech is available to assist with this process. You may take advantage of any cut time left over from the previous hour, but you must be prepared to vacate the machine at the end of your hour. Please cancel, or reschedule your appointment, if necessary, as soon as possible. APPOINTMENT MUST BE MARKED AS STARTED DURING SCHEDULED HOUR. Failure to do so will automatically disable your user name.